After 2 years of being full-time in the academia, I understand that academic life is not for me. It is full of very interesting things, but most of them are theoretical, and I found that I more of a practical than theoretical person. So I decided to start looking for a job. One good thing here in Israel is that you can find student internships all year round (something which I heard is not done in other places), where you can keep on studying and at the same time work part-time. I sent a couple of CVs to companies where I wanted to work, did some interviews… the works. One day a friend – who had worked in a team I had managed – called and in the chat he understood that I was looking for a JOB. “Send me your CV NOW!”, he said. I was reluctant. I never thought to work where he does. I don’t know their technologies, their culture, their methodologies. But he is a very good friend, very smart, passionate, and I respect him a lot. He told me “It’s really cool here. I’m happy”. “Are you sure?”, I answered. But anyway, I sent him my CV, and after a couple of days got a call from the recruiter. They wanted to interview me, for a job that was located somewhat outside the distance I wanted to travel. Then I thought to myself if it was not something else that was stopping me, that I was afraid to go out of my “comfort zone”. So I went, and to make a long story short, I got the job. Where? you are probably asking. Here’s the surprise – Microsoft! I’m still getting to know the place, but for now I’ve been learning a lot (and remembering how I hated Sharepoint in my previous job). I’m still not sure what’s my job description, but it has the words “computer” and “software” written on it, so it’s probably down my alley. And I also learned two new things: 1) your friends and people you have worked with are a great help when looking for a new job. Regardless of any political correctness and “equal opportunities”, if someone in the inside recommends you, this weights a lot; and 2) before you say no to an offer, think twice if you are doing it because of objective or emotional reasons. Many times the former hides the later. Wait, so what about the flowers? I forgot. 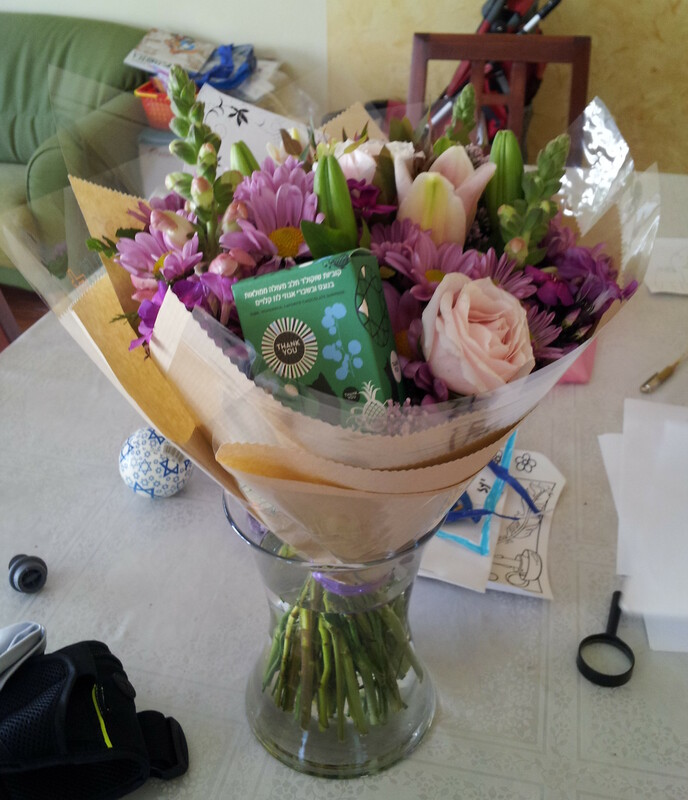 About a week after signing my contract and before starting to work (we had holidays here), I got a call from the best Deer Park flower shop florist telling me someone had sent me flowers. My wife? obviously, who else can it be… but no, It was MS, welcoming me to the team. BTW – this post was written some time ago but I forgot to send it and then my hosting service has one full week of WP problems. But better late than never.